I thought I would follow up on my ‘Odd Time Signatures Explained’ post with a practical post to help explain a fun area of musical experimentation. 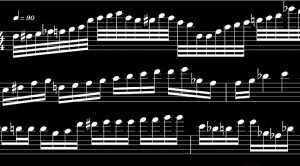 This idea came to me many years ago when I was playing a well known 4/4 riff (the intro riff to ‘Living On A Prayer’ by Bon Jovi) which has an eighth note rhythm filling up each bar with exactly 8 notes (eighth notes – 2 per beat, 4 x 2 = 8). This made the song an easy candidate to experiment with time signatures which had an 8 as the lower number in the time signature – simply add or take away the correct amount of eighth notes until the desired number is the met. For example, to play the riff in 7/8, take one note off and repeat, and to play the riff in 9/8 add a note (this one requires a little creativity). In practice a very easy mistake to make is to take off/add on correctly but still play in 4/4 by syncopating or sustaining a note. This is a result of being well trained to play in 4/4 and requires some experience in playing & listening to odd time music and some help in ‘getting’ the jarring nature of odd time. This is where drum machines or, in the case of this post, backing tracks are imperative to correctly understanding odd time. In the interest of copyright, I won’t be sharing the Bon Jovi experiment mentioned above but will instead be using my own original creation to make my point and help others understand this interesting area of music. 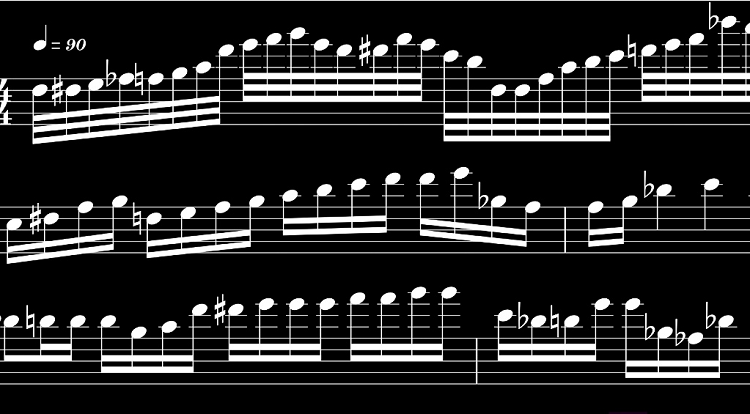 I have created a riff in 4/4 which fills up the bar with 8 even eighth notes and have made permutations (either taken off or added on notes congruent with the riff to fit any given time signature) for various different individual exercises which will develop and include the piece in a number of different time signatures/metres within the same exercise. In addition to these basic exercises, which are mostly about gaining a feel for each TS, I will include some examples which use ties and dots to further sophisticate the feel gained in the earlier examples. The count ins for each exercise are in 4/4 and the transcription is at the bottom of the post.